Thuso Mbedu (South Africa's Is'thunzi, Liberty, Shuga), Aaron Pierre (Krypton, Brittania, Prime Suspect 1973) and Chase W. Dillon (First Wives Club, Little America) have been cast to star in Amazon's The Underground Railroad, a series adaptation of Colson Whitehead's bestselling novel from Barry Jenkins, per Deadline. 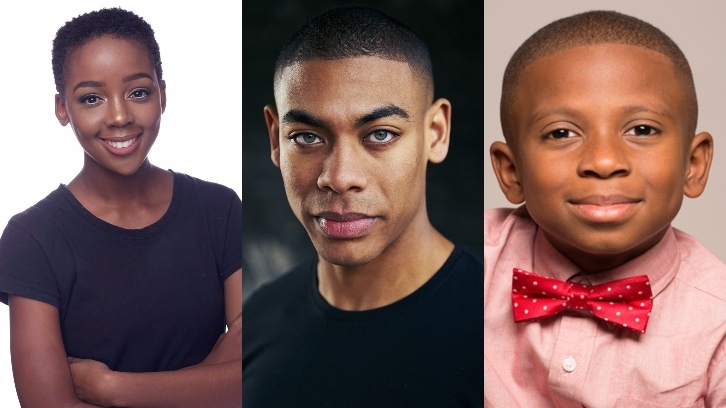 Mbedu will play Cora, Pierre will play Caesar and Dillon will play Homer. Barry Jenkins (Moonlight, If Beale Street Could Talk) will direct all 11 episodes of the Amazon series. Jenkins' Pastel Productions and Brad Pitt's Plan B Entertainment executive produce. The Underground Railroad centers on young Cora, a slave on a cotton plantation in Georgia. Life is hell for all the slaves, but especially bad for Cora; an outcast even among her fellow Africans, she is coming into womanhood—where even greater pain awaits. When Caesar, a recent arrival from Virginia, tells her about the Underground Railroad, they decide to take a terrifying risk and escape. The Underground Railroad is a Pulitzer Prize-winning novel that has been praised for its imaginative blend of history and magical fable – moving beyond the boundaries of realism in its depiction of a mythical underground train that transports slaves across an alternate America.